Most of the foods taste good when served hot. But due to our busy schedule, many of us resort to reheating precooked or refrigerated food to save time. However, some foods end up becoming carcinogenic or slow poison on reheating. Reheating certain foods is the most unhealthy practice. Thus, it is essential to acknowledge foods you should never reheat. Below is a quick list of foods you should avoid reheating as on reheating they releasecertain harmful radicals and toxic fumes and becomepoisonous. Mushrooms are a rich source of protein. A general rule on cooking mushrooms is to cook and consume it right after the preparation. On reheating cooked mushrooms, proteins break down. This not only changes the flavor but also dentures protein and produces toxins. If reheated mushrooms are consumed, it leads to digestive problems. 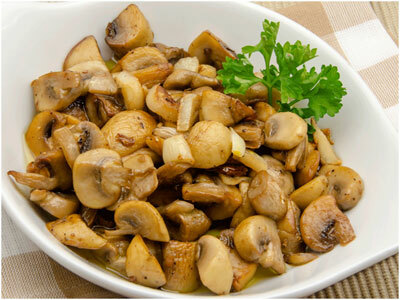 Studies have shown that eating reheating mushrooms, again and again, increases the risk of cardiac problems. Chicken is an excellentsource of protein. But reheating chicken leads to changes in its composition. The protein gets denatured and produces toxins that may lead to digestive problems and other health complications. So to stay healthy, never reheat cooked chicken.Instead, use leftover chicken to stuff sandwiches or add it to the salad. You can also warm chicken on a very low flame on the stove if required. But keep inmind if the chickenis constantly reheated it will becomedifficult to digest. 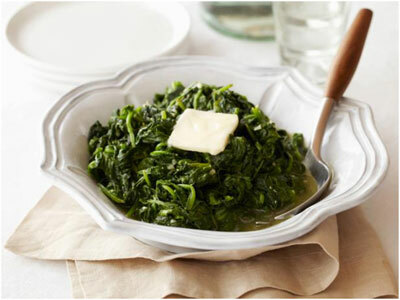 Spinach is a leafy vegetable rich in vitamins and minerals. But it should not be reheated because it contains nitrates in abundance. When reheated nitrates convert into nitrites. Nitrites is carcinogenic. So better steam the heated spinach or cool it quickly by keeping it below 5-degree Celsius to prevent the production of nitrites. Celery is commonly used in soups. It is rich in nitrates that on reheating converts into nitrites which is carcinogenic, is toxic to the body and can give you a stomach ache. So never re-heat celery. Other nitrate-rich veggies you should avoid reheating are beets, turnips and carrots. Eggs are the most preferred breakfast. It isconsumed boiled, in the form of curry or scrambled. Eggs are a rich source of protein. However, reheating eggs destroy its health benefits and deteriorates protein leading to digestive issues. Consume egg dishes soon after preparing. In case you have leftover boiled eggs, cut them into pieces and add to the salad. 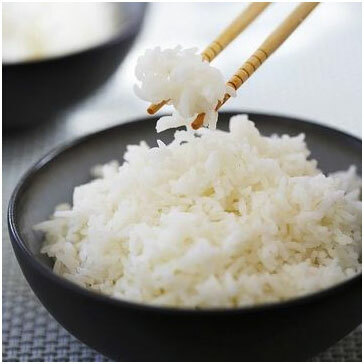 There is a misconception that cold rice causes health issues and so people reheat rice. Cooked rice should be eaten immediately. When you keep the cooked rice at room temperature,there is a multiplication of spores present in it. Reheating does not kill the spores but multiplies spores rapidly,and this may prove to be toxic causing diarrhea and vomiting. If you want to store cooked rice, always refrigerate it. Boil water and add leftover rice to consume it again. Do not over boil rice or it will become soggy and will taste bad. Potato is a starchyvegetable with lots of health benefits. When the cooked potato is storedat room temperature,it acts as a catalyst and promotes the growth of Clostridium botulinum that may cause botulism which is a type of food poisoning that may result in flaccid paralysis of muscles.The bacteria is not killedduring reheating. Thus, the cookedleftover potato should alwaysbe refrigerated. Do not leave them at room temperature.And before consuming the refrigerated leftover potato recooked it in a shallow pan. 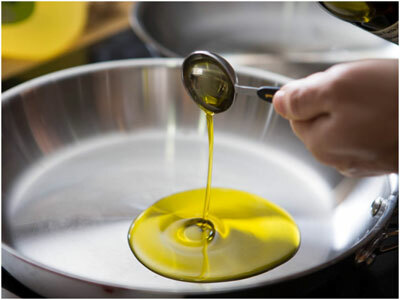 Oils such as grape seeds oil, avocado oil, walnut and hazelnut oil smells with an unpleasant taste on reheating. Oils on heating above 375 degrees F, produces 4-hydroxy-2-trans-nominal or HNE. HNE is a toxin that increases the level of bad cholesterol and increases the risk of heart diseases. Always heat oil at low flame. Avoid reheating heated oil as it releases harmful radicals and toxic fumes. Discards the heated oil. 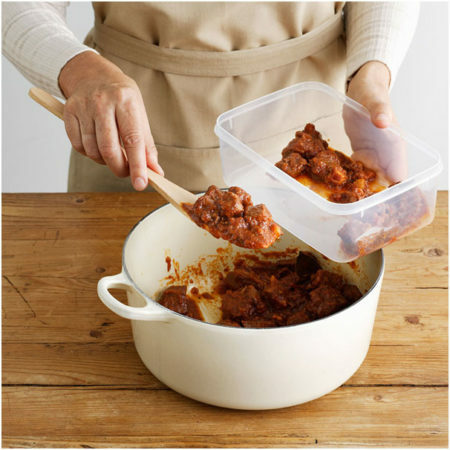 Eating healthy food is important but knowing how to cook food and store the leftover food is also essential. 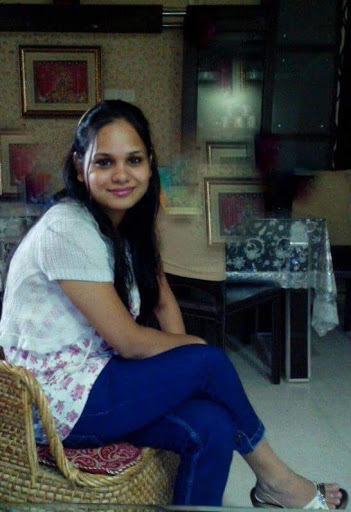 Avoid reheating the foods mentionedabove to avoid health complications.